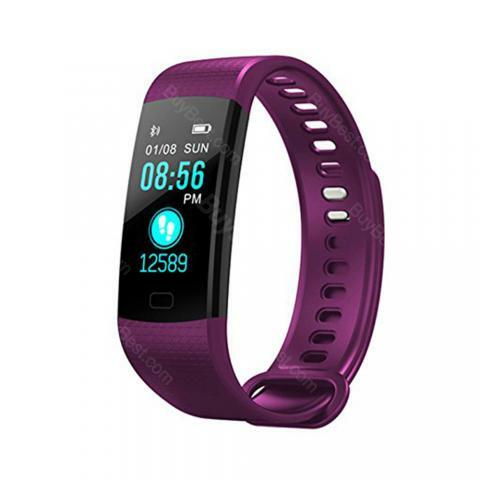 Mrs win QQS-1 Y5 Smart Bracelet, which adopts smart light sense screen for clear display under the sun, is convenient to read message without checking your phone. In addition, you can shake it to take photos after it is connected with app. 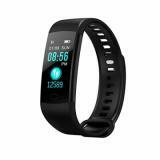 It can not only monitor the heart rate, blood pressure and etc, but also record your exercise data that includes calorie consumption, distance and etc. 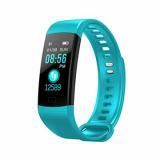 Mrs win QQS-1 Y5 Smart Bracelet, which adopts smart light sense screen for clear display under the sun, is convenient to read message without checking your phone. In addition, you can shake it to take photos after it is connected with app. It can not only monitor the heart rate, blood pressure and etc, but also record your exercise data that includes calorie consumption, distance and etc. What’s more, here are three kinds of interface for choice, you just need to press the screen for 3s the the interface can be changed. Really simple. Just take this smart watch. You will like it. Great value and gets the job done.this primarily as a step tracker, but the sleep targets and heart rate were a huge plus, normally with any sort of fitness tracker its a bit slow to read raises in heart rate (i.e exercise) but it is relatively quick to pick up resting HR which is awesome. Set daily goals for sleep and steps in the app just like the fitbit. Perfectly viable device that delivers FitBit functionality and more for a fraction of the price，Perfect price. I bought a fitness tracker myself last December and I love it to set a target for myself. My husband who doesn't like to wear watch told me that he wanted one too. I searched online to find a more updated version with new features such as waterproof and multi sports modes since he is very active in sports. He loves it and wear daily to keep track of his heart rate, steps and sport activities. He likes the color screen and sleek design. Fast shipping and highly recommend seller! Wow! What a fantastic watch! And so much more!!! It gives me tons of information that helps motivate me to be even more active. Love that it’s waterproof. I highly recommend this outstanding smart watch. I really love this fitness tracker! As far as features, this watch has everything that I need and even some things I probably won't use. I LOVE the heart-rate monitor that is built into the tracker. This feature, alone, is worth the price of the watch. I really like the way the tracker also has individual programs built in that allow for timed activities and monitoring. Great idea! Easy to used and reasonably priced with more options then the Fitbit I had. Great product, would strongly recommend to anyone looking for a versatile yet durable watch that doesn't break the bank. First time ever using a Fitness Tracker these are great kept one for myself and gave one as a gift so far they love it and so do I. It is nice to be able to keep track of my steps, my heart rate etc. all in one device.I have always wanted one of these and I am very pleased with it. Works well just have to pay attention to charging it the first time . Had no problem pairing with phone and the sortware works great. At this price point a bargain. The product was very good in condition and came in a frustration free box. It was very easy to use right away, I am very satisfied with this product and the price it’s sold at. This watch pack is fantastic, looks and performs just like a fit bit but for the fraction of the cost. Got these for my dad and sister and they love it. The battery life is also excellent, don't need to charge for days at a time. The step counter is also pretty accurate, along with the text messages that I receive on the watch. So easy to sync to your phone thru the app. Each charge lasts 6-7 days. Touch of a button to switch modes on the watch.